It'd be an understatement to say that the Sonic the Hedgehog game franchise hasn't held up well over time. Sonic was once nearly as big as Mario, but a long string of bad titles (with exceptions) ruined his rep -- you're more likely to spot him in dodgy fan fiction and internet memes than a popular game. And the homebrew developers from Arcane Kids know it. 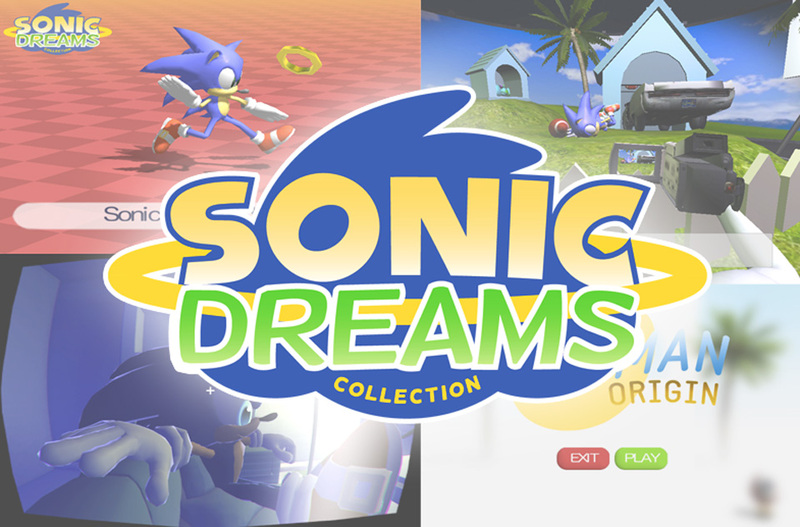 They've built the Sonic Dreams Collection, a batch of tiny tribute games for Macs and Windows PCs that acknowledge the Sega mascot's fall from grace. It masquerades as a leaked set of Dreamcast protoypes, but it's really a nod to the weird places Sonic fandom has gone in the 21st century. There's a "Sonic Movie Maker" where the hedgehog calls you his dad, and "My Roommate Sonic..." well, let's just say it turns romance stories on their head.